Michael Barnes is a playmaker. Offense, defense, special teams – the guy simply has a knack for finding the endzone. 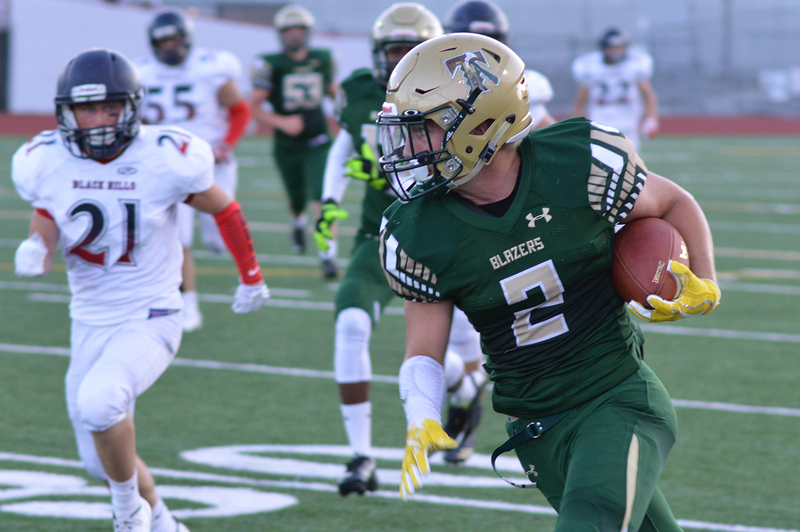 Rushing and receiving touchdowns, kickoff returns for TDs, the occasional pick six, the running back/defensive back found all sorts of ways to score for Timberline High School during his football career. He even threw for a touchdown as a junior in the Blazers’ 41-38 triumph over Oak Harbor in a district playoff game. 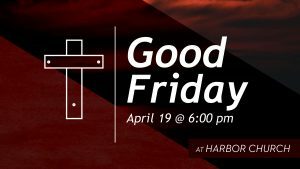 As a senior last year, he chalked up more than 2,000 all-purpose yards, helping Timberline to an undefeated regular season record and the 3A South Sound Conference championship for a second consecutive year. He did a lot in four years at Timberline. Now, he looks to do the same at Montana Tech University. Barnes has exchanged his green and gold of the Blazers for the green and copper of the Diggers. Montana Tech actually popped on Barnes’ radar rather late in the recruiting game. He received his first football scholarship offer toward the end of his junior year when the Air Force Academy made an offer to the speedy 5-foot-11, 180-pound Barnes. More rolled in throughout his stellar senior season, which saw him named 3A SSC most valuable player, including offers from Portland State and Simon Fraser. None, however, seemed like the perfect fit. That is until Montana Tech came calling. Including a strong engineering program, which certainly increased Barnes’ interest in the school. 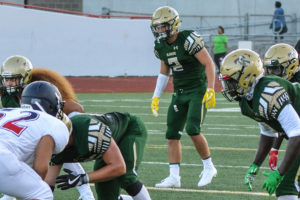 Barnes actually cut his decision rather close to the national signing period before eventually visiting the campus and determining Montana Tech was the right fit for him. So what kind of player are the Diggers getting in Barnes? Ask any opposing coach that faced him over the last few seasons and they would all likely choose the same word – versatile. Barnes simply found success regardless of where Timberline lined him up. 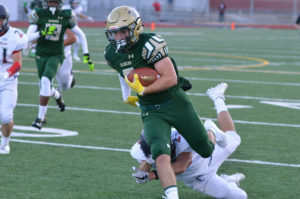 He rushed for more than 1,200 yards as a senior, including 127 yards on 12 carries in Timberline’s 51-14 drubbing over Peninsula in a game that ultimately decided the South Sound Conference championship and a career-high 177 yards in a season-opening 35-7 victory over Black Hills. 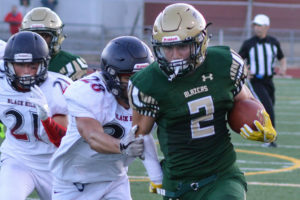 A three-year starter, Barnes actually was a starting receiver for the Blazers during his sophomore and junior seasons, showing off his hands and acceleration ability on numerous occasions. A danger to score every time he touches the ball, Barnes also returned a pair of interceptions for TDs from his safety position in 2017, giving Montana Tech plenty of options with the freshman. But football was only part of the equation that drew him to Montana Tech. He plans to pursue a degree in petroleum engineering. However, he hasn’t ruled out potentially shifting to a different engineering program once he gets to school. Barnes will head to Montana Tech at the start of August. The Diggers open the season on September 1 at the College of Idaho.